Looks like the Game of Thrones behind the screen party is quite serious about any leaks leading up to the eighth and final season of the fantasy series. Well, it looks like Kit Harington isn't the only one who let his significant other, Rose Leslie, (who happened to play the role of his on-screen lover as well) in on the secret ending of the much awaited season of GOT. 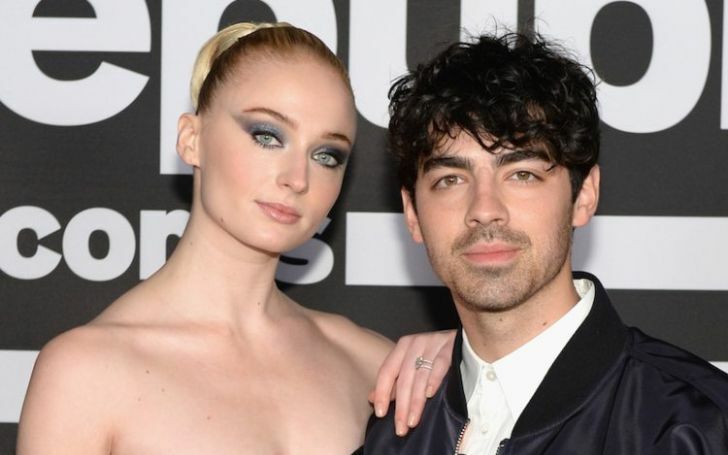 According to ET Online, singer Joe Jonas had to sign an NDN and a Non-Disclosure Agreement after his fiance, Sophie Turner revealed him the ending of the upcoming HBO flick. It seems fans are getting quite displeased after the stars from the series divulged such vital information to their family members and friends. GOT fans were quite upset and angry and mean to the English actress. "The truth is I've only told two people. It's not that many. To be honest, I don't read many of the mentions on Twitter because there's normally quite a bit of hate. Everything I say will always have some negative reactions so I'm not surprised." "The people love Kit Harington, he can do no wrong. He's the people's prince!" Not only the great, King In The North and Sansa Stark wasn't able to keep it a secret as the Queen of Andals, Emilia Clarke also took the liberty to explain the ending to her mother. Kit Harington and Emilia Clarke also revealed the information about the ending. But it looks like Joe never had the intention of knowing the ending in the first place but he came to know about the ending as he stayed around the sets while Sophie used to shoot. And of course, who wouldn't be able to make out the ending after watching it up close and personal. The only difference was, Joe was kinda confused with all the things that went in the shooting and just asked Sophie to clarify it and boy! did she clarified it, she revealed the full-fledged ending. Well, let's hope to all that the ending of the series never gets out before its premiere on April 14, exclusively on HBO.